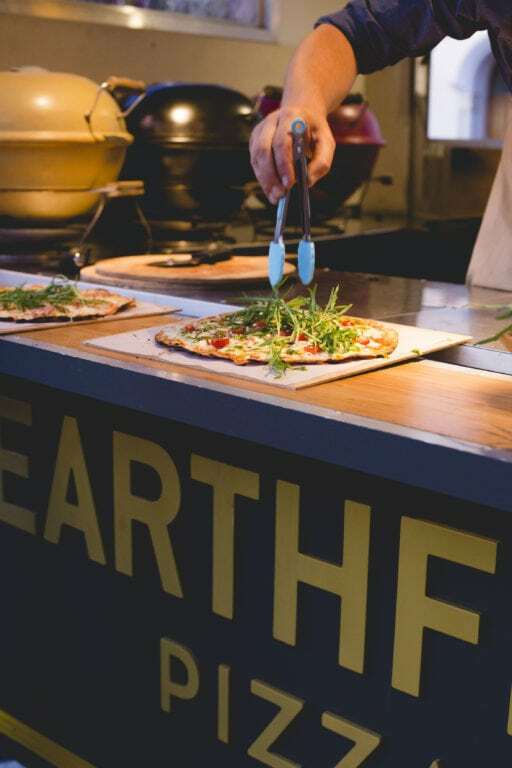 The heart of Earthfire Pizza, is our unique wood fired ceramic pizza ovens. 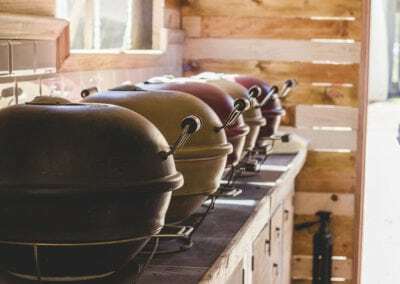 Our love for pizza has evolved from a childhood fascination and excitement about everything to do with pizza, to a journey of experimentation and pizza oven development. 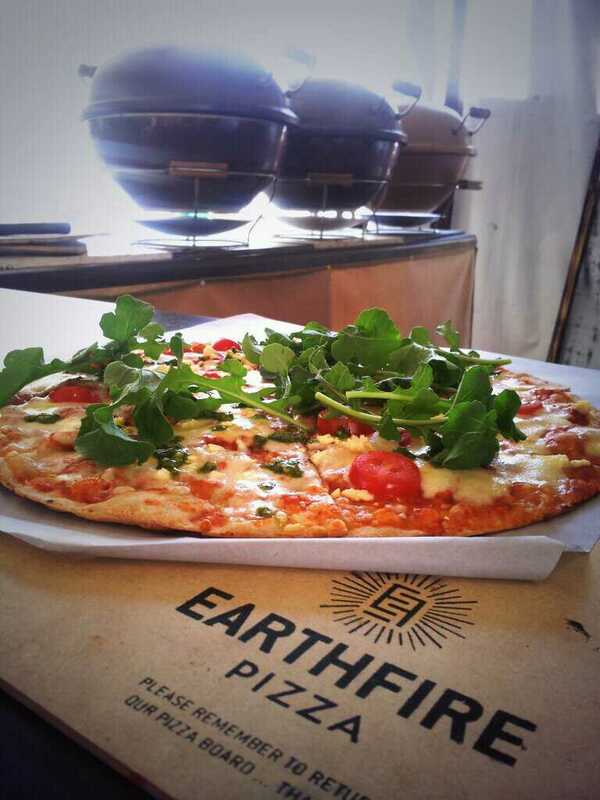 Our story begins with a childhood fascination, excitement and a love for pizza. When I was growing up, authentic pizza always seemed so inaccessible, a traditional wood burning oven so much of a production. 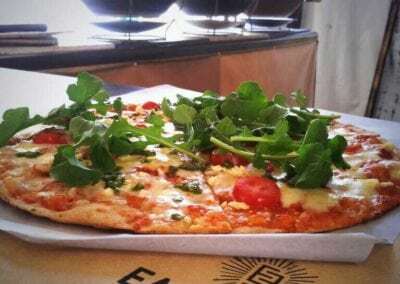 A good thin crispy base was something only achievable in a genuine pizzeria. Together with my mother’s pottery experience and talent and my father’s engineering mind, a special fireproof ceramic was invented. 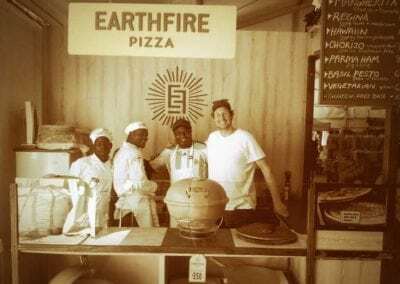 My father went on to develop the Earthfire pizza oven, and a whole new world of pizza discovery began to evolve for me. 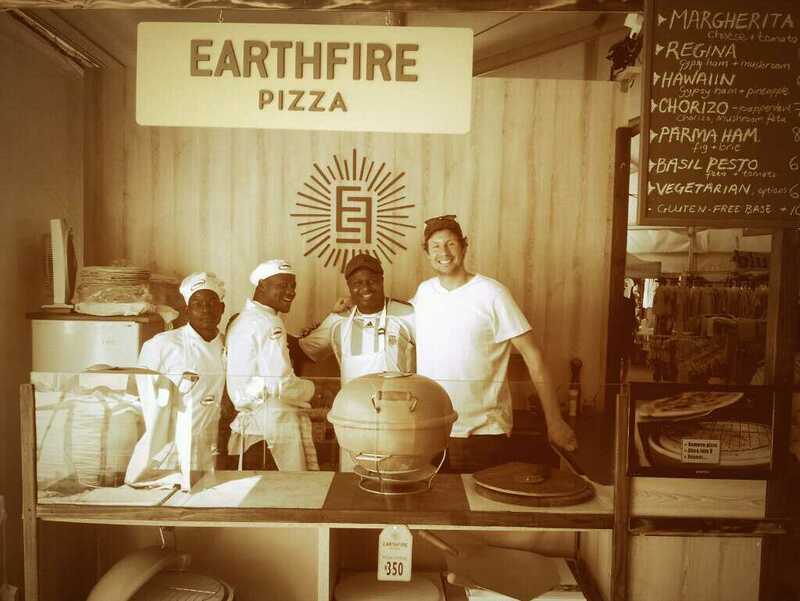 This 15 year evolution has manifested into Earthfire Pizza, a family company dedicated to unique pizza ovens and the art of pizza cooking. 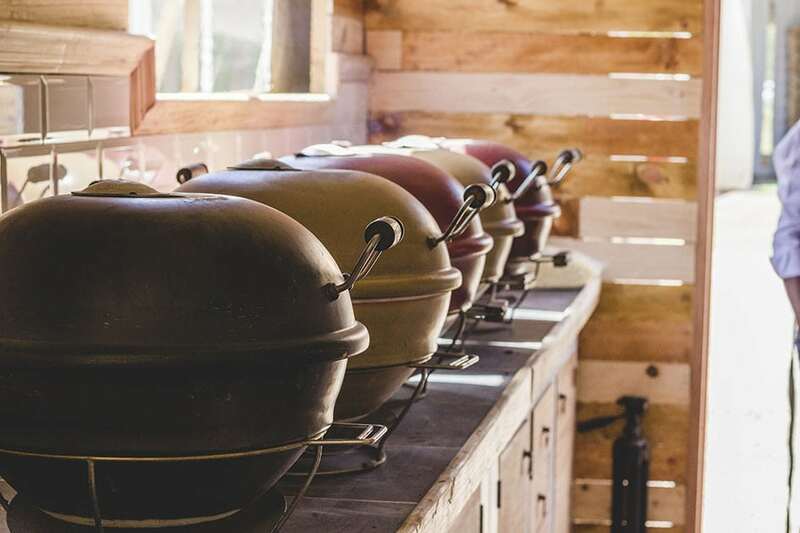 Our passion, heart and soul have created a brand that represents quality pizza experiences for you and your family, whether at home around your kitchen table, with us at the markets or brought to you by our food truck. 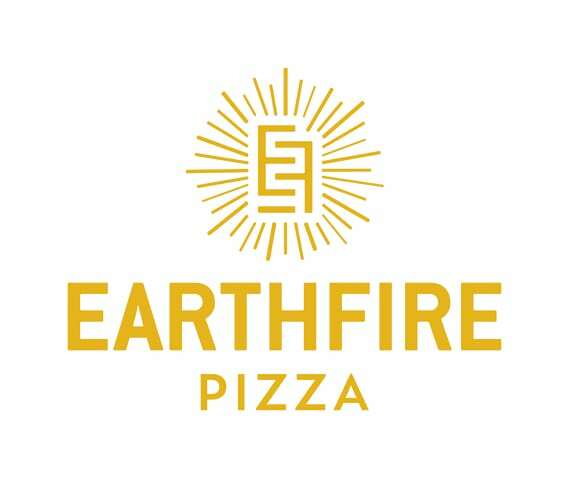 With our handmade ceramic ovens and pizza accessories, our premade bases and ingredients, you can now have the Earthfire Pizza Experience too! 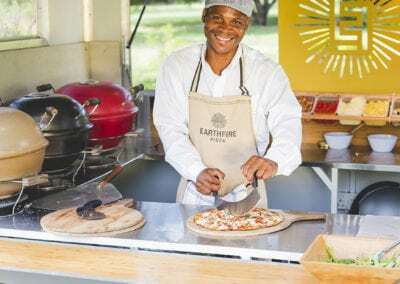 Earthfire Pizza Ovens: This handmade ceramic oven with its stylish design, allows you to experience authentic wood fired pizzas within the comfort of your home. 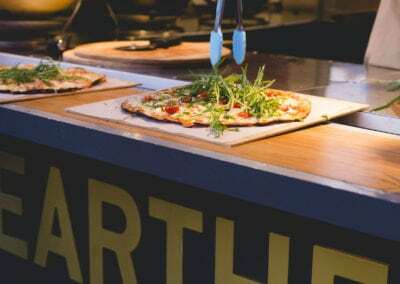 From intimate family pizza nights to fun gatherings and gourmet entertainment, you will never want to eat pizza anywhere else! 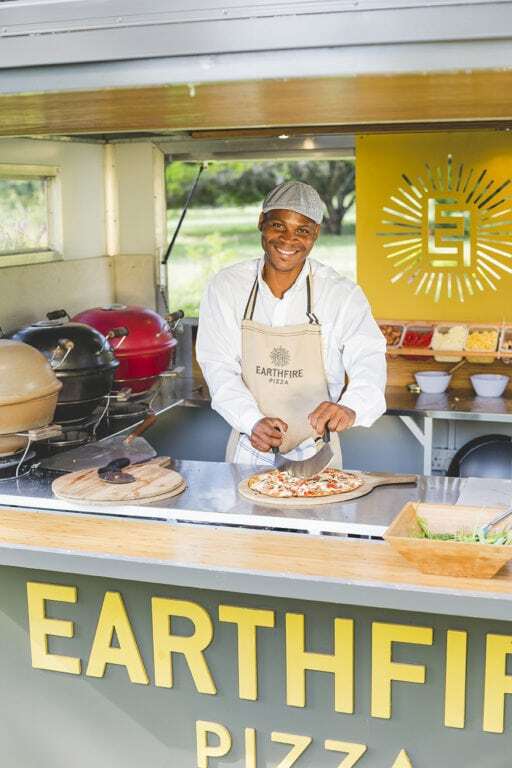 Revolutionise pizza evenings, by bringing the oven into your kitchen or onto your table. 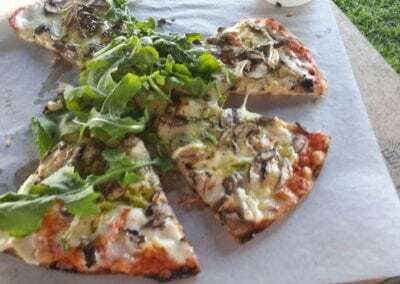 Everyone can get involved and with a pizza being cooked every 3 minutes, you get a thin, crispy base while the toppings remain delicious and full of flavour. Gather your family and friends around the table, get creative with your toppings and have fun sharing your inventions. 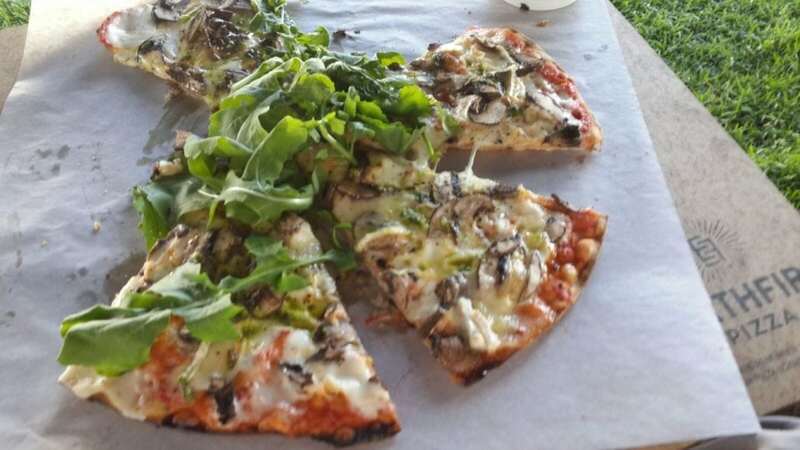 Pizza nights become fun and easy!